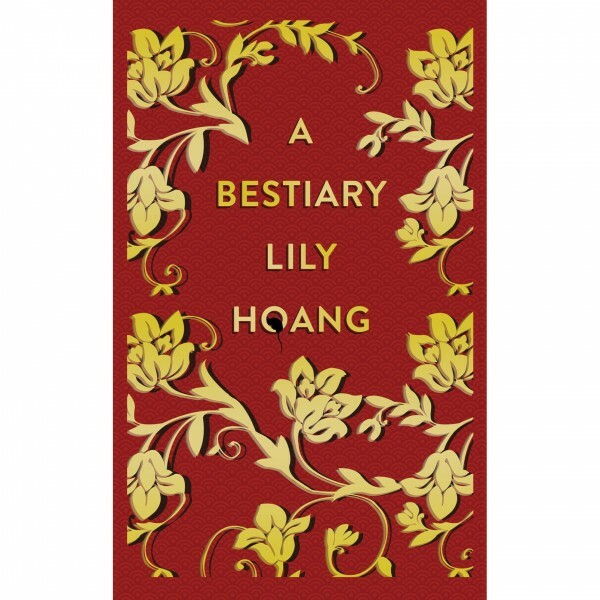 Lily Hoang's A Bestiary (Cleveland State University Poetry Center, 2016) is a collection of evocative essays that reminds me a bit of Jane Jeong Trenka's The Language of Blood in its brief passages, revisioning of fairy tales, thoughtful engagement with word definitions/etymologies, exploration of the metaphorical qualities of the natural world (rats, for instance, in Hoang's book), and startlingly frank explorations of intimate and familial relations. It's also a memoir that lays the author bare, and you flinch at the emotional rawness of the pages as much as you are drawn in by the power of the language. Games are not necessarily about victory. The process of learning requires failure. Rats, in their little boxed mazes. My sister, in her military boxed garage. Hidden away. A king who does not rule. The sentences flit between scenes involving video games the author downloads for her mother; other activities shared with her mother; ruminations on rats, mazes, and the "rat race" as a metaphor for life's struggles; variations on kings, including a rat king, which I did not know is not a kingly rat but rather a knot of rats tied together by their tails and various detritus; and some thoughts on her brother as a marathon runner (riffing on the idea of a rat race). I stopped asking why [she went to prison] before once upon a time began. I have re-named her my dead sister. This sister is at once cautionary tale for Hoang and a lingering reminder of who she could never be, frozen in death as an untouchable family presence despite her messy life (prison time, drug addiction, infidelity, and divorce). The process of being on the job market bifurcates emotions. First, hope. A powerful optimism that this year will be the year, finally, finally, yes yes yes. Next, contempt. For the place you live and the place you work. You must tell yourself you hate your life. You must hate every aspect of your life. You must be miserable. This is the only way you can convince yourself to go through the trauma of the market. Hundreds pared down to ten. At MLA, you sit on a bed to interview. You hope your suit doesn't shift too much while you speak. You try not to gesticulate too much. You try to keep your words sharp. You fake it all. Those of us who've done those MLA interviews know that there is a special emotion associated with sitting in your best business suit on a hotel bed, trying to be confident and professional while semi-reclined with two to five faculty members huddled around you. Of particular interest perhaps to AALF is that Hoang does write at times about what it means for her to have grown up Vietnamese American, including a startling paragraph, "In elementary school, I was proud to be Vietnamese. I had not learned self-shame. And I have not attained that same level of confidence since. My naïveté was a power that experience has drained." In another essay, "on ORIENTAL BEAUTIES," Hoang catalogs the Asian American women in popular culture that she had as possible role models or simply mirrors for her self--Pam from the Real World, Lucy Liu, Margaret Cho, and Connie Chung--and she wryly notes that she only had this handful of women to see herself in and wonders how white women can even begin to make sense of themselves with so many more options. And throughout the book, Hoang writes about her difficult intimate relationships, touching on the idea that the white men she dates (and marries) might have yellow fever while also noting that she does not find Asian men attractive. In addition to frequent thoughts on her dead sister and what it means for her to have a dead sister and to live with what her sister left behind (especially a son who deals himself with drug addiction and imprisonment), Hoang writes about her relationship to her parents as well--both of them in many ways typical immigrant/refugee parents with their narrow expectations of their children and their different way of understanding familial relations.